A24 has released a new trailer for Mid90s, the directorial debut of two-time Academy Award-nominated actor Jonah Hill (The Wolf of Wall Street, Moneyball, 21 Jump Street). Check out the new trailer below and let us know what you think! The film stars Sunny Suljic (The Killing of a Sacred Deer, The House with a Clock in Its Walls), Lucas Hedges (Manchester by the Sea, Lady Bird), Katherine Waterston (Alien: Covenant, Fantastic Beasts and Where to Find Them) and Jerrod Carmichael (The Carmichael Show, Transformers: The Last Knight). Oscar-winning composing duo Trent Reznor and Atticus Ross (The Social Network, The Wolf of Wall Street) scored Mid90’s. Ross is a member of Reznor’s group Nine Inch Nails, and worked with the band as a producer prior to joining. The duo has also composed music for a handful of other projects, including Mark Wahlberg’s Patriots Day and the Ken Burns’ docuseries The Vietnam War. 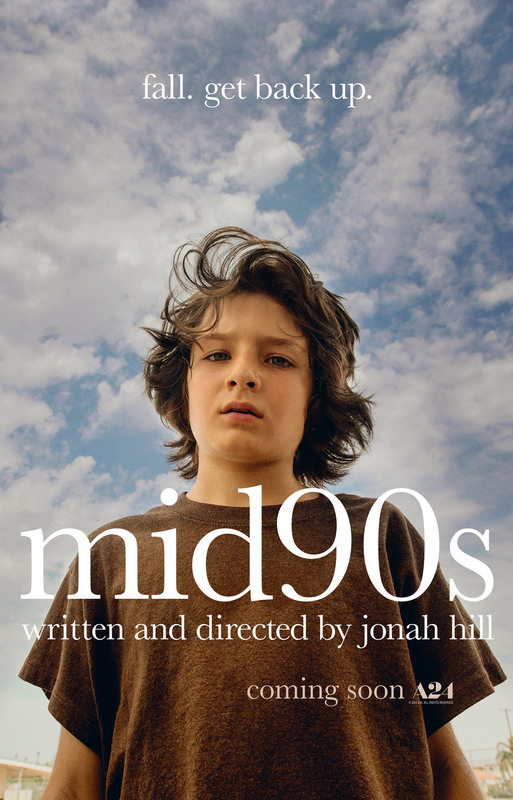 Written and directed by Jonah Hill, Mid90s opens in theaters on October 19. The post Jonah Hill’s Mid90s Trailer: Fall and Get Back Up appeared first on ComingSoon.net.